Hi, it will available in Element vape and My vapor store next week. please keep tuned. When will it be released in the US? Can’t find it anywhere. Hi Terry，element vape and my vapor store will release it next week. then other stores will release. Hi Darren, not yet, but it will available in the UK soon. please keep tuned. Is this one compatible with the nautilus bvc coils also? Hi Tony, no it compatible with spryte BVC coils. Are you guys selling them right now on this website? Hi Justin, our website doesn’t have a store yet. Where can I get a pal 2 at? I have checked the 4 sites that were told to me that would have them on the 18th….and they’re still not on there! I NEED this NOW!! Hi Jackie, sorry for the delay. We plan on the 18th, but the shipping time has increased. it will available asap. thanks for your support! Are there any other coils compatible with this device? Hi, it compatible with Aspire Spryte BVC Coils. but they suddenly changed saying it’s gonna be next year…. Hi Steve, it had been released. Elementvape and myvaporstore had available now. Perhaps it’s the shipping issue. 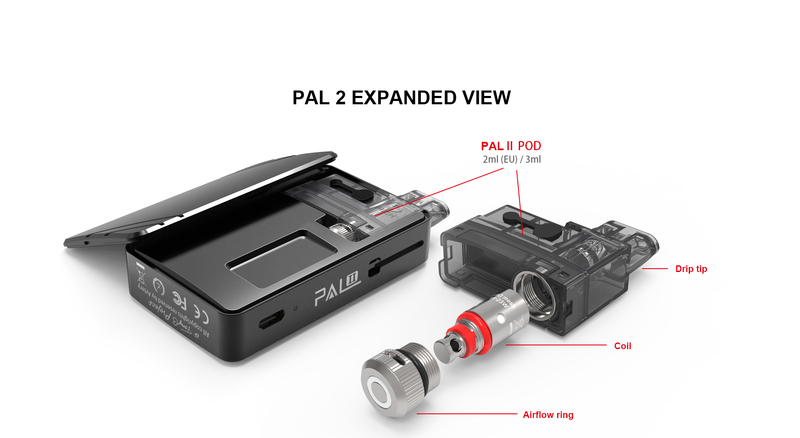 Im interested in purchasing a pal 2 when will it be available in the us ? Hi, Elementvape and myvaporstore are available. Can you use 50mg salt nic in the mesh coil? Hi Ryan, we suggest you use the ≤20mg nic salt in the mesh coil, or you can use 50mg nic salt in the 1.2ohm MTL coil. If i use 50 in the mesh will it burn out the coil quicker or will it last just as long? Ryan, it won’t affect the coil lifetime. if you use 50 in mesh, just the nic salt output will too strong. Hello there how do u adjust voltage on this pal 2 mod,please let me know thanks. 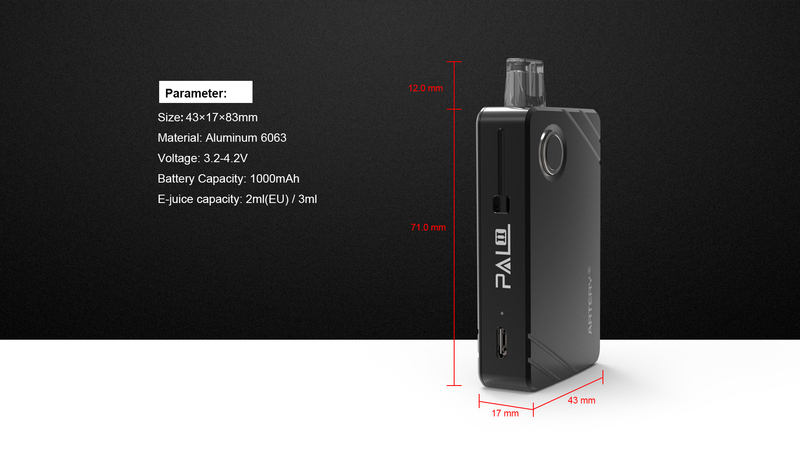 Hi, Pal 2 couldn’t be regulated, it’s direct output power. Is it constant wattage or is it like a “bypass mode” like a mech device? Hi Paul, it’s like a “bypass mode”. Hi, How Mach is the product weight with pod? Hi, the pal2 is 76g. Man, so close to perfect. All that’s needed is adjustable wattage or at least consistent wattage. I hate how the loss of battery decreases the wattage and vape performance. Just need to a few selectable options like what Innokin did with the EQ or DV. That’s the dream, 1000 mah, coils for both MTL and sub ohm DL, adjustable air and power settings in a attractive portable device. I have the Pal2 since a few days ago. With the 0,6ohm mesh you got a smooth and warm vapor, plenty of flavor and good airflow for DTL vaping. 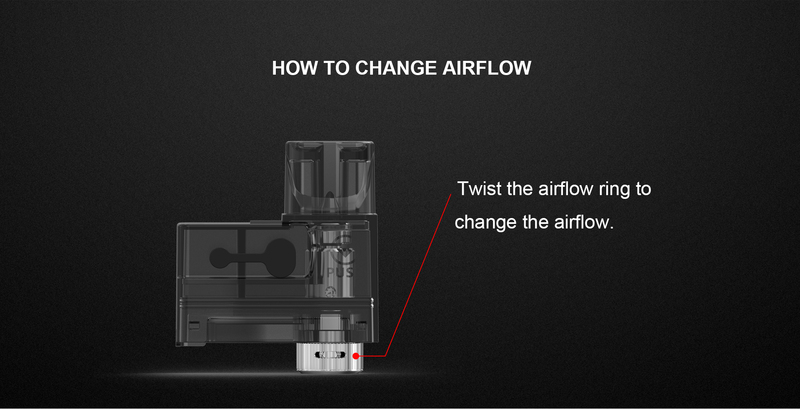 If you close the airflow you can also use as MTL if you prefer. During your puff you should notice a little voltage drop. I like it. It’s starts hard so the kanthal mesh can reach temperature and then it’s drops a little after 2-3 seconds… for me it’s a pleasure sensation. Works great with 70/30 liquids, but you loose some throat hit compared with 50/50. In my case I vape with just 10mg/ml salt liquid, but I prove it with 20mg/ml salt and it’s not excessive the throat hit. Cons… I should prefer a clearer pod so it’s difficult to see the liquid level… furthermore when you are refilling it. Thanks for your suggestion, Emirul. Hi, is this device constant wattage? Or does it get weaker the lower the battery gets? Thanks. Hi Francis, it hasn’t constant wattage, it’s direct output power. Hey Artery, just wondering if the Aspire Spryte BVC Coils use the same woodpulp cotton? Is there an alternative to the mesh coils aswell? Hi Eric, the spryte bvc coil doesn’t use woodpulp cotton. 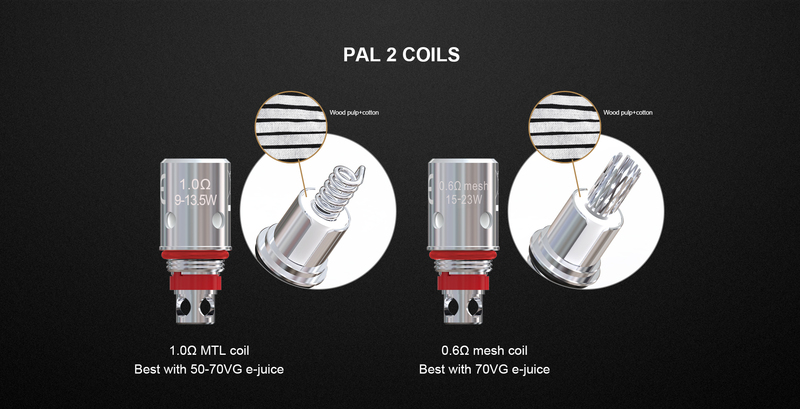 The 1.2Ω MTL coil is a regular coil. Hi, is this regulated or the same as mech mod? Hi Jack, it’s unregulated, but it has protection, more like the “bypass mode”. why current max charge is 800mah??? Hi Tom, because the bigger charging current probably makes the device overheat and affect the battery life. Hello. If I want to use 35mg salt nic, which coil is suitable? Hi, we suggest the 1.2Ω MTL coil. Hi Jordan, the 1.2Ω MTL coil is better for salt nic. Hi, 800mAh is the max charge current. You can use the 500mAh charger. I recently purchased a Pal2 the coils that came with it did not last I purchased some Aspire spryte bvc coils and it is flooding with them. Already sent an email to your customer service and have not had any response yet. Hi Jeffery, sorry for the issue. but “sales03@arteryvapor.com” had replied to your email yesterday, please check it. 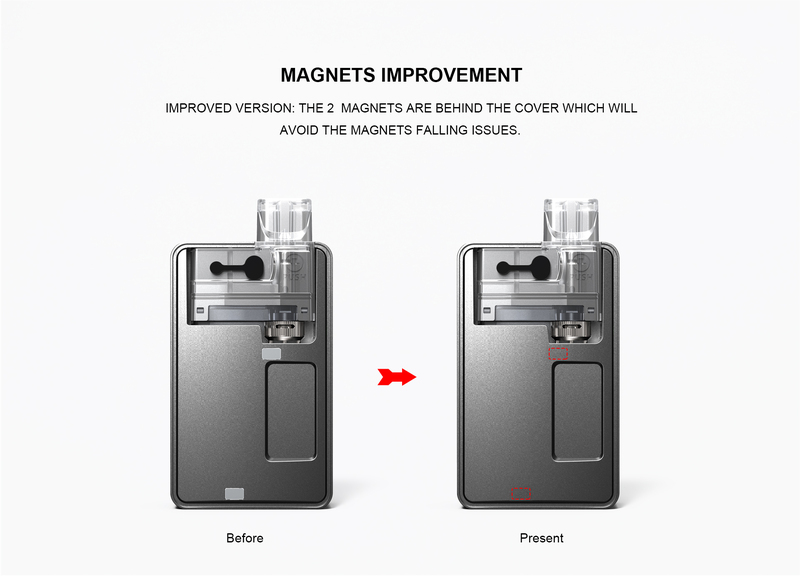 About the issue, We wonder how long the original coils last you, as for the aspire BVC coils, we are sorry that we don’t know it could have flooding issue, and I wonder how many aspire bvc coils you tired which have the flooding issue. Thank you for getting in contact with me about the issue. The 1.2ohm coil lasted about 3 or 4 days and the mesh coil lasted about a week. I am using 24mg salt nic and the flavor was awesom especially with the mesh coil but they stopped wicking then they were burned. Apparently I had gotten 2 bad coils I just swapped another coil this morning and no more flooding. Ok, thanks for the reply. So a 1A charger can damage my precious PAL 2? Hi, I just confirmed it. 1A charger won’t damage Pal2, it has protection. You can continue to use the 1A charger. 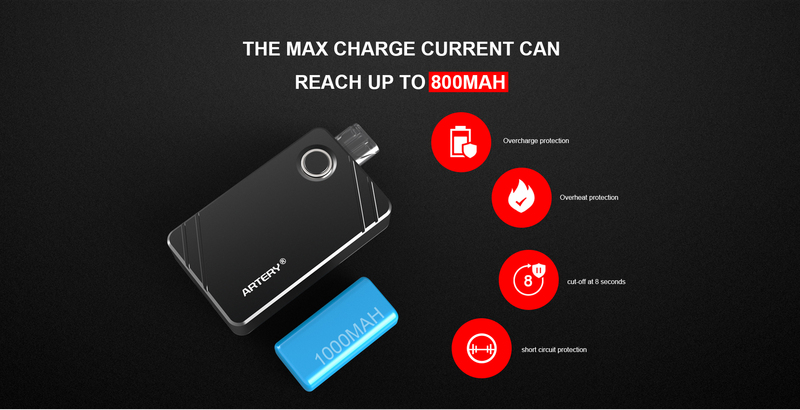 the max 800mah means even you use 1A charge, the input current still will be 800mah, we had set it in the chip. So you can use the 1A charger. Hi, the red light flicked 3 times means the atomizer is not connected. Please check the pod or the coil whether connected effectively. If you still have any question, please feel free to contact us at cs@arteryvapor.com or mia@arteryvapor.com. Hi Mike, when the LED shows the red light, it means the battery only 5%-15%. I recently purchased a Pal2, i’ve used it for a week, my 2 mesh coils lasted only 2 days, i wonder can you fix the coil lifetime? Hi Tony, what kind of e-juice you used? how much e-juice each day? hi . why the red light bip 5 times when i hold the button for inhale smoke ? Hi, it indicates a short-circuit. Please feel free to contact us by cs@arteryvapor.com or mia@arteryvapor.com if you need more customer service. how to k ow when battery is fully charged ? Hi Mike, LED light will turn off when the battery is fully charged. Hi, the three times red light means the atomizer is not connected. Please check your pod or the coil to confirm the effective connection. so how can we repair this problem? Please check your pod or the coil, try to replace the coil. Try to loosen the base slightly if it still no work. Please feel free to contact us by cs@arteryvapor.com if you need more customer service. 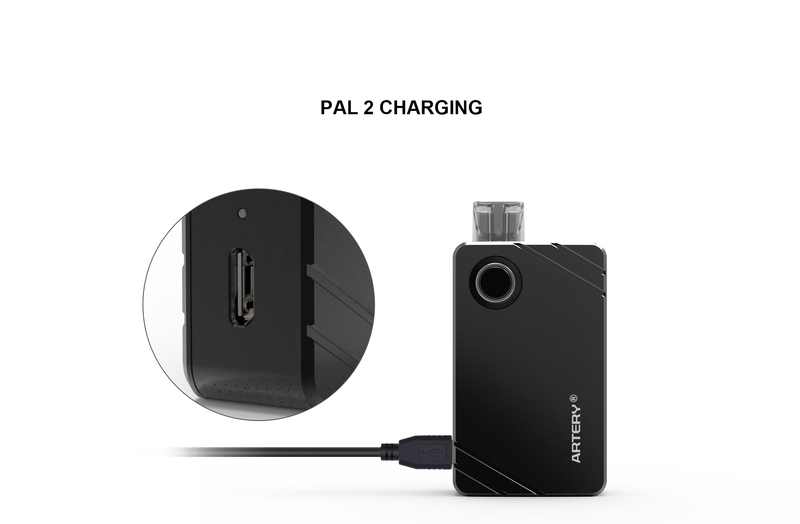 how can i get this artery pal 2 in malaysia? Hi, you can get it in Vape69 site. Is there a reset button on this mod? After done charging and unplug the charger the unit still think its charging. Hi John, it hasn’t reset button. Is the LED light flash to let you think its still charging or what happened? we need more detail about it. can i use freebabse ejuice on .6 ohm coil? Hi, what is the material of POD? Do you crack even if you put citrus liquid? Hi Masa, it’s PCTG. Generally, it won’t crack. how long 0.6 mesh coil can use ? Generally, it can use 18ml ejuice. Thanks for your support and your kind suggestions. Using it for about a 1,5 weeks. And the taste is awesome, battery life is pretty good, filling system is pretty comfortable, overal quality is good. BUT. That side cover that does not close completely does rattle contanlly makes me soo mad. P.S. It would be better, if user would be able to disassemble the device if he need to fix something (only an opinion). Hi Tim, sorry for the cover’s issue. We don’t suggest non-professional disassemble the device, that will cause damage to the device. And we won’t warranty for the privately disassembled device. Do I have to use the salt juice or can I use any kind? Hi, you can use the salt juice. Hi, we have sold empty pods separately. You find it by HeavenGifts site or other local sellers. Can I use vapeonly bvcc coils? Hi Karlis, no, it only compatible with aspire sypte bvc coils. Hi Rosie，you need to take the pod out to adjust the airflow, then you can see it clearly. Hi, sorry for the issue. Please contact us by cs@arteryvapor.com or mia@arteryvapor.com for customer service. What does it mean when the light on the side changes from blue to purple? I have had the device for 2 weeks and have successfully used it to go from a pack a day smoker to a successful quitter. I love the device. Just can’t seem to figure out the light colors and their meaning. Hi Jim, LED light indicates the battery capacity. 0-15% is Red light, 15-50% is purple, blue means 50%-100%. Please advise if it is possible to replace the battery on this device, and if so instructions on how to accomplish this. Hi John, the battery can’t be replaced. Please do not disassemble the device, that will cause damage to the device. And we won’t warranty for the privately disassembled device. This item is fastselling in malaysia, to find new OCC and catridge is so hard as many outlet out of stock. My question is, for how long you will keep supplying parts for this model before discontinued it? Hi, we will always keep supplying them and release many products used the same coils. any way to fix a short circuit problem? Sorry for the issue, you can try to replace the coil. Please feel free to contact us by cs@arteryvapor.com if you need more customer service. Hi, sorry for the issue, it’s the chip reading wrong cause the light wrong. But it still will turn off the light when fully charge. It won’t affect your normal use. Please assist the Lost Flave Orion company with a new pod designed like the Pal 2. I wish that I would have seen your beautiful little device before I bought my 70 dollar paper weight from them. I love your design and can not find much to be negative about other than the fluid level may be a little hard to see but I will be getting one of these little machines. Wouldn’t it be cool if it had a window in the cover with an LED somewhere around the pod to check fluid level. Hi.. i’m use 0.6 occ and 35mg salt nic.. because if i use 1.2 occ it feel less flavor..
Hi, we are doing the 1.0ohm coil, it will available after about 2-3 weeks. Hello,I just got a new ARTERY PALII from my website dealer…but now I’m very interesting to buy a protective cover like I have been seen in your INSTAGRAM page…can you please tell where I can buy it…?!??!?? Hi, it pre-order on HeavenGifts site now. Can i use 2.5 or 2.0 ohm coil ? I’m sorry you cannot use 2.0 and 2.5ohm coil. Hi, blinking 3 times red light means the atomizer is not connected. Please check the coil and pod to confirm connective effectively. Hi, i have charging issue with my pal2. When i connect to usb, its blue led blink once then it turned off. Is it something wrong with the battery? Hi, that means it’s fully charged. hye.i live in australia.which website i can buy it pal 2 by online?? Hi, you can get it by HeavenGifts site. 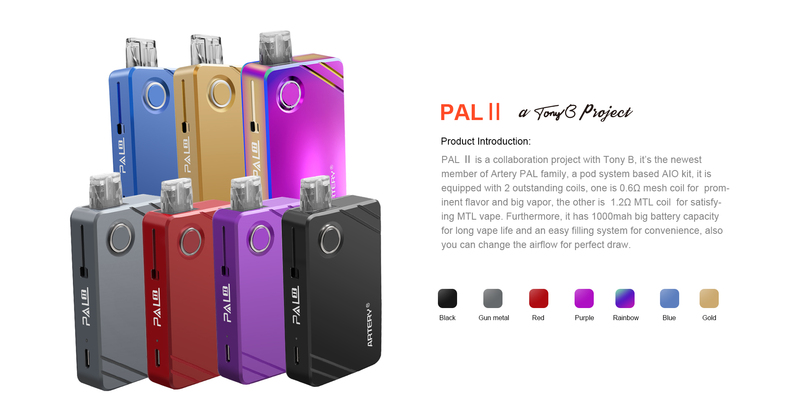 HELLO GUYS I JUST GOT MY LOVELY PALII AND I’M VERY EXCITED…BECAUSE IT WORK GREAT WITH THE 1.2 coil ON MY PREFERRED 50/50 TOBACCO JUICE AND I HOPE IT WILL BE SAME WITH THE 0.6 coil ON 70/30 JUICE…NOW I WOULD LIKE TO PROTECT WITH A KIND OF WRAP OR SOMETHING LIKE THAT…CAN YOU PLEASE HELP ME OUT TO FIND SOME WAY OR PLACE WHERE I CAN GET ONE…?!?!? Hi, thanks for your support. Pal 2 has the holster, you can find it in HeavenGifts site. El mejor por que he probado hasta el momento tanto para sales de nicotina como para líquidos con nicotina normal. Buen sabor tanto la resistencia de malla como la resistencia normal, grandioso golpe de garganta, durabilidad de la batería más que buena, cómodo rellenado y cómodo para el día a día donde portar un pod cómodamente y encima es precioso. Hi, I’m sorry we don’t sell the back cover. Hi. Please make ceramic version occ for pal 2 please. where can i buy the improved version of the pal 2? Hi, i hope artery make ceramic coil for pal 2..
Hi, we don’t suggest to do it. No, their packages are the same. You can get it by HeavenGifts site. Hi, I’m very happy with this super machine, it’s great. I want order a replace coil and I’m in Europe. Can I replace for a 3ml coil or should I order the 2ml coil. 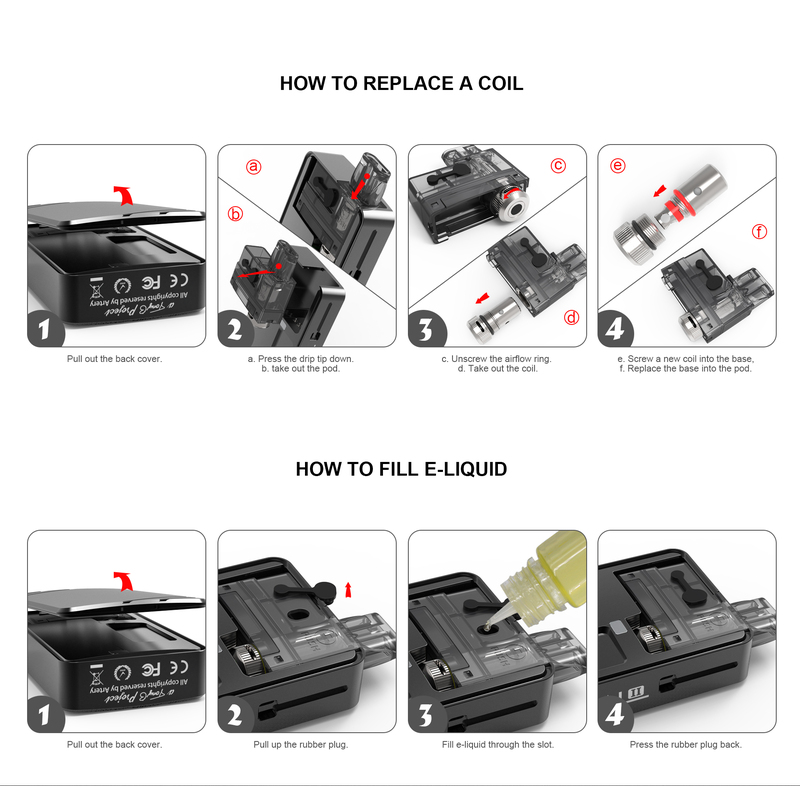 Why in Europe the coil is 2ml instead 3ml ? Apprecaite your help, thank you very much. Hi, you can replace the 3ml pod. Selling the 2ml version is the TPD regulations. Hi, on my pal 2, the metal part that connects to the coil inside the pod (below the mouth piece) is a little off axis only when I put the coil in. Today my device starts spitting in tiny amounts but enough to ruin the flavor and taste bad in my mouth. How can I fix this why is this happening? Besides this love the device, thanks! Hi, I’m sorry it can’t be fixed. You can buy a new pod to replace. Mine keep blinking red lights 3 times too often..i’ve already tighten up the occ & atomizer, but still the red lights keeps blinking. this is very frustrating. Pls tell me what to do. Thanks. Please check your pod or the coil. Try to loosen the base slightly if it still no work. Please feel free to contact us by cs@arteryvapor.com if you need more customer service. Hi, it is a genuine product. You can check it in qr.arteryvapor.com by yourself. hi .. just wanna ask how many hours artery pal 2 will last ?? then the hours of charging ? Hi, generally it can use 1-2 pod e-juice with the 0.6ohm coil, and the charging time is about 1 hour. Hi Artery…Which is better way to charge the device? What I mean, is better to take out the cartridge during charging time or is it ok if just keep the cartridge inside during charging? Thank you! Hi, you can just keep the pod inside. Hi, perhaps it’s the PCB issue. Please feel free to contact us by cs@arteryvapor.com for more customer service. where can i buy the magnet hidden version of the pal 2? Hi Steve, please ask the retailer before you order it. can anyone help me solve my artery pal 2 problems? i dont know what the problems it is. when i started to suct. i see the red light blink 3 times & then the smoke doesnt come out. but my battery already charged. i think its all about the occ or the airflow ring or the cartridge or something else, i dont know. but can anyone help me solve this. thank you! Hi, blinking 3 times means the atomizer wasn’t connected. Please check your pod or the coil. Try to loosen the base a half turn if it still no work. Please feel free to contact us by cs@arteryvapor.com for more customer service. Please feel free to contact us by cs@arteryvapor.com. Hi..just bought the pod..for first time charging, how long should i charge it? or can i just leave it overnight charging? Hi Andy, the blue light will turn off when it fully charged. the product is frankly good but I think there should be another intermediate coil like 0.8 ohm or similar. You are going to manufacture coils for this good device? Hi, thanks for your support. A 1.0ohm coil will be released quickly. Hi, generally, the 0.6ohm coil can use ≤15ml. When to replace the coil or cartridge in a month? for the use of 3 ml of liquid per day. Is it 1.0 mesh or regular? Hi Wan, sorry for the issue. We can’t contact you by your email address. Please contact us by cs@arteryvapor for customer service. Hi, i just bought my PAL 2 last nite. My question is how long should charge until it full? its normal when charging red led slowly blinking. Yes, when the led light off means it fully charged. Hi, your battery is fully charged. How many time does the red light blink? Please contact us by cs@arteryvapor for customer service. Can I use 35mg salt nic with 0.6, and is there any effect? Yes, and the 1.0ohm will be released soon, it will more suit for salt nic. Hey guys i dont know why but my 1.2/0.6 coil both lasted very short like 3-4 days and by that time it’s started to taste burnt or no taste compared to the first time I installed any coil. Why???! Hi, how many pods e-juice were you use before it burning? Generally, the 0.6ohm coil can use ≤15ml. The lifetime will be affected by different e-juice. Do you sell the accessories for the inside the artery pal 2, because my chip inside the artery pall 2 is burning. Hi, we don’t sell the accessories for the inside. We also don’t suggest non-professional disassemble the device, that will cause damage to the device. Are you going to release the version with the magnets behind the plastic? I have two and in both of them the magnets are exposed and both of them the magnets popped out. I glued them back in on the first one but now the cover doesn’t fit tightly. It’s a very annoying problem for an otherwise great product. Hi, sorry for the issue. The new version was released. Please confirm that the direction of the magnet before gluing them. Hi, is the LED indicator still on when charging? Hi Verry, yes it will off when fully charging. Room 510-512, Building C, Baoan New Generation Information Industry Park, Chuangye 2 Road West, Bao'an 28 District, Shenzhen.